Showings start August 5th, offers as received. 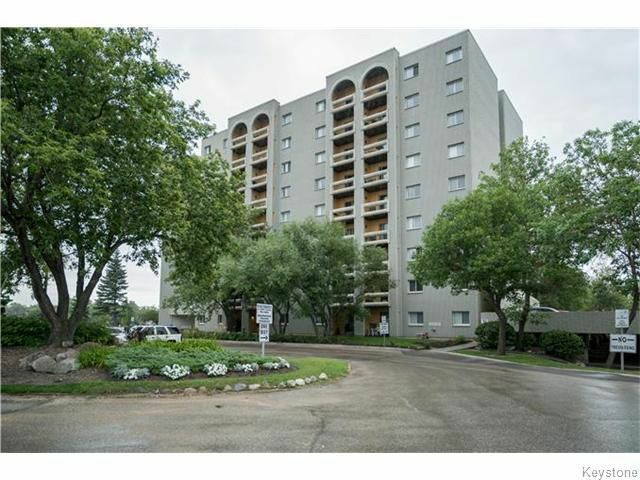 ** Potential investment property close to the U of M. This condo offers newer high end laminate flooring, a modern white kitchen w/upgraded hardware & large covered balcony to protect you from the elements while enjoying the view. 2 good sized bedrooms, master bedroom features a vanity with sink & access to the main 4-piece bath. This condo complex features a nice outdoor pool, workout room & tennis court. All appliances are included. 1 underground parking stall available for $36 per month (skip the waiting list! ), surface parkings stalls also available for $28 per month. This unit is currently tenant occupied on a long term lease, great for investors! Don't miss the opportunity to own this well located condo.